Michael Bigelow Dixon retired as an Associate Professor from the Theater Program at Transylvania University in 2017. He also taught for three years at Goucher College in Baltimore, and he was the Dayton-Hudson Distinguished Professor in the Theatre Department at Carleton College in 2003. He's teaching on the theatre faculty at Wofford College in Spartanburg, SC in the Winter/Spring Term of 2019. Prior to entering academe, Michael was Resident Director at The Playwrights’ Center in Minneapolis, Literary Director at The Guthrie Theater, and for seventeen years Literary Manager and then Associate Artistic Director at Actors Theatre of Louisville. Michael has directed productions of classical and contemporary works at The Guthrie, Actors Theatre of Louisville, Magic Theatre, Mixed Blood Theatre, The Illusion, Park Square Theatre, Florida Stage and Commonweal Theatre Company. In the area of new play development, Michael supervised the commissioning, development, and production of more than 800 new plays, including plays by Tony Kushner, Joyce Carol Oates, David Henry Hwang, and Jimmy Breslin. 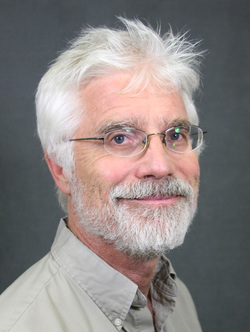 Michael has co-edited 35 volumes of plays, criticism and social history, including The Moscow Art Theatre: Past, Present, Future; Anne Bogart: Viewpoints; and Second Lives: The Immigrant and Refugee Experience in Orange County. During his five years at Transylvania University, Michael authored Breaking from Realism: A Map/Quest for the Next Generation, conceived and created Shakespeare in Mind, edited Evil Genius: Monsters on Stage, and co-created My Mother#*^%#! College Life. ​He also wrote 17 articles and led 18 workshops and master classes at universities across the country. Michael earned an AB degree at Brown University and MFA and LDA degrees at the University of North Carolina at Chapel Hill. Special interests: swimming, skiing, surfing, hiking, tennis, dogs, cats, pigs, detective fiction, baseball, basketball, gardening, topiary, comedy and most any creative distraction.